avanion is a young, innovative software company located in Berlin. avanion's core competences comprise the development of software solutions for the engineering and downstream processes, including the consulting tasks for process analysis and the design of engineering processes. Furthermore avanion concentrates on the realization of product data models, the processing of product data as well as the integration of software in heterogenous software landscaps for product lifecycle management. 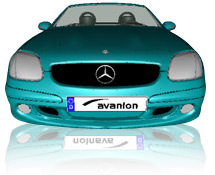 avanion was founded in November 2000 as a spin-off of the DaimlerChrysler Research in Ulm. Based on the longtime experience of avanion's team with automotive and aerospace industry, avanion is a competent and reliable IT-partner and consultant company for the conception and implementation of business processes and strategies in the area of product lifecycle management.